Arsenal’s board is reportedly split on who they want to replace Arsene Wenger, according to reports (via The Telegraph). 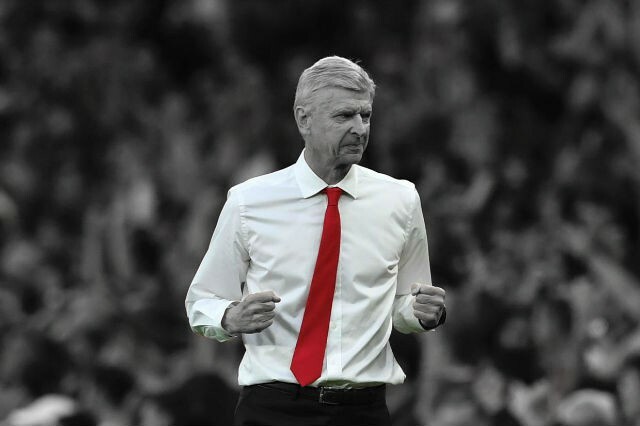 It’s something which every Arsenal fan has an opinion on as the question of who should replace Arsene Wenger becomes more and more important with each passing day. It’s unclear whether the Frenchman will leave the club in the summer, next year or even remain after then but he will eventually need replacing. Now, fresh reports claim that even the Arsenal hierarchy has disagreements over who should replace the Frenchman. The Telegraph’s Matt Law claims that there are disagreements between Raul Sanllehi, Sven Mislintat and Ivan Gazidis, the man who brought both of them to the club. The report claims that Sanllehi is keen on Luis Enrique, that Mislintat is keen on Julian Nagelsmann and Schalke’s Domenico Tedesco and that Gazidis is an admirer of Mikel Arteta, Leonardo Jardim and Brendan Rodgers. Some of these candidates provoke more excitement than others. It’s clear that the Arsenal board is keen on a younger boss to take Arsenal into this next chapter but there is still some disagreement on who would be the best fit. The likes of Nagelsmann, Jardim and Tedesco would all be good appointments for the Gunners.